One owner 0 accident excellent excellent driving JX. 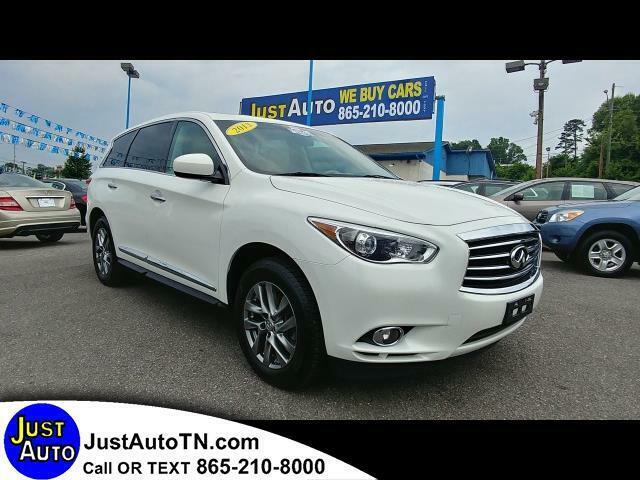 Very well-kept call or text us at 865-210-8000 to schedule your test drive today! Visit Just Auto & Leasing online at justautotn.com to see more pictures of this vehicle. Text or call us at 865-210-8000 to schedule your test drive today! Message: Thought you might be interested in this 2013 Infiniti JX.